/ WARNING! Road Rage Is All The Rage On Dublin’s Streets! WARNING! Road Rage Is All The Rage On Dublin’s Streets! While traffic may be quieter on the capital’s streets this August bank holiday weekend, Road Rage has not gone away; in fact, it is on the increase, at least in Dublin. 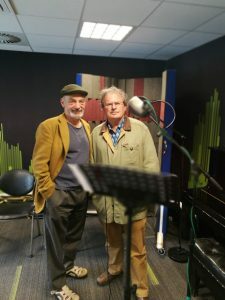 The causes are many and one cannot rule out a radio drama series by writer Gabriel Rosenstock, which will be broadcast on Dublin’s Raidió na Life next week. The disease – and it must be classified as such – is known as Buile Bhóthair as Gaeilge, the term which gives its title to this mini-series. The affliction affects drivers, passengers, cyclists and pedestrians alike, in some form or another, and this Raidió na Life series of four thirty-minute radio plays pulls no punches when it comes to tackling this pressing issue. 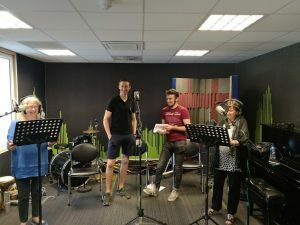 These unique radio plays, which will be broadcast every evening from Tuesday 7th August through to Friday 10th August from 6 – 6:30pm, will have listeners on the edge of their seats as they travel the streets and roads of Dublin, whether they are in a bus, taxi, lorry or on the Luas. Among the unfortunate actors who have to steer us through this urban madness are Donncha Crowley, Áine Ní Ghlinn, Marcus Lamb, Aodán Ó Ceallaigh, Fidelma Ní Ghallchobhair, Morgan Cooke, Conall Gunnigan, and the author himself Gabriel Rosenstock. One critic who pre-listened to the series has asked: ‘What would the author know about road rage? He doesn’t even drive!’ To which the author replied, ‘What would Dante know about hell’? This series was made with the funding support of the BAI’s Sound & Vision broadcast funding scheme.